Since Paris is a world famous shopping center, you just can’t miss an opportunity to do shopping in the city! While Christmas markets are great places to visit, department stores shouldn’t be overlooked as well. 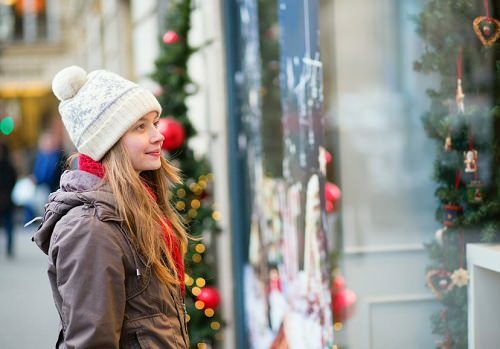 Department stores are truly one-of-a-kind during the holiday season with numerous sparkling garlands, exiting goods at the window displays and cheerful bustle of the customers. France is a homeland of the best perfumes and cosmetics, so when being in Paris on Christmas holidays use this chance to buy nice gifts for your close family and friends. However, you’d better not expect to find some great sales till the first week of January. The Galeries Lafayette, Le Bon Marche and Printemps department stores are among the best places for shopping all over Paris! If you haven’t decided where to celebrate Christmas this year, choose Paris and you’ll never regret it! This amazing European city offers a great variety of Christmas activities and entertainments for you and your family. Be sure to have the most hilarious and joyful Christmas ever in Paris!